No one wants to do the same task twice, especially when you're trying to work smarter and save time. 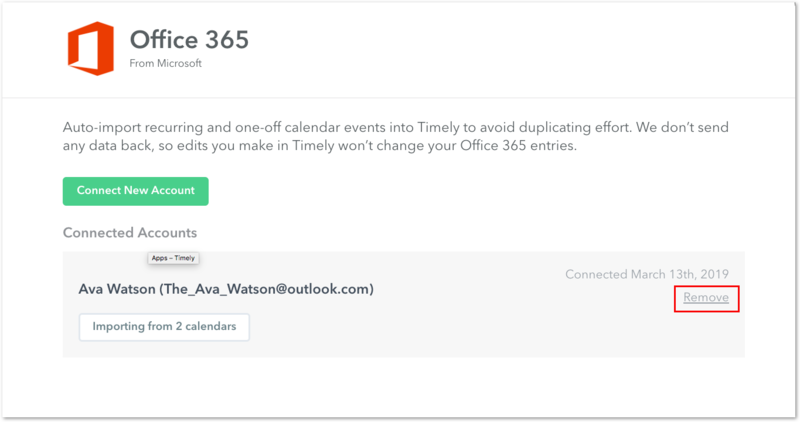 That's why integrating your Office 365 / Outlook Calendar with Timely is awesome! 💥It lets you automatically import recurring events, multi-day events, and full day events directly to your Memory timeline. All scheduled events show up in your Memory Timeline, for a simple view of the day's appointments. It even imports event titles, so you don't have to fill in any notes. By capturing all the time you actually spend on the event (rather than just what you planned), you can create an accurate log for your time. Data is never sent back or changed in Office 365/Outlook; what you do in Timely, stays in Timely. Any changes you make in your calendar will automatically update in Timely. 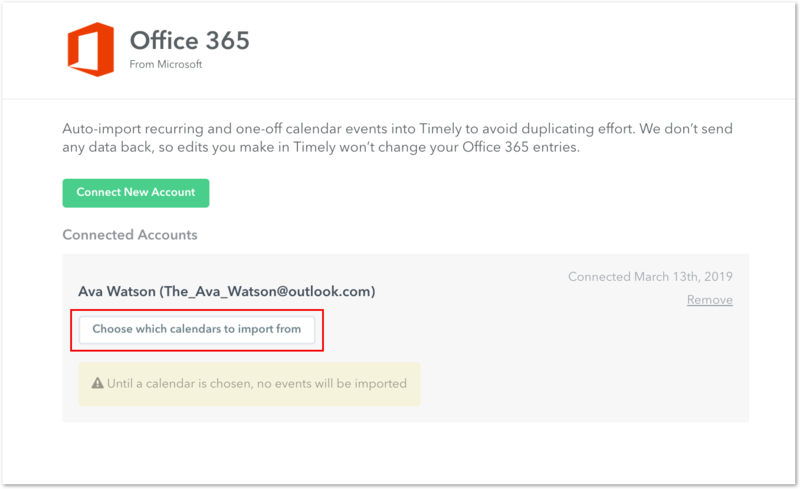 This is not a two-way sync: entries created in Timely will not import into your Office365/Outlook calendar. If you disconnect your Outlook integration, calendar events will be deleted from your timeline. 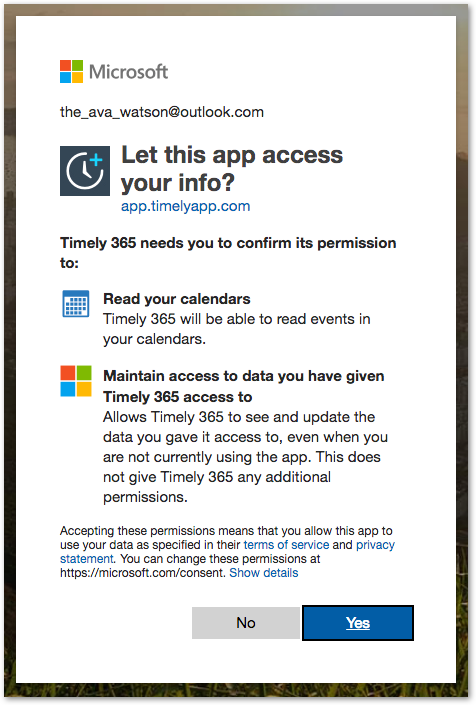 Once you've accepted permission, you'll be see the Calendar account that is now integrated with Timely. You need to choose the specific calendars to import from. Hit 'Save Now' and all of your events will automatically be uploaded to your Memory Timeline. That's it! Your calendar events will now import directly to your Memory timeline. I've updated my Outlook calendar, but my events are not showing up on my timeline. If you've created or edited several events in quick succession, it might take some time for your calendar events to appear in your timeline. 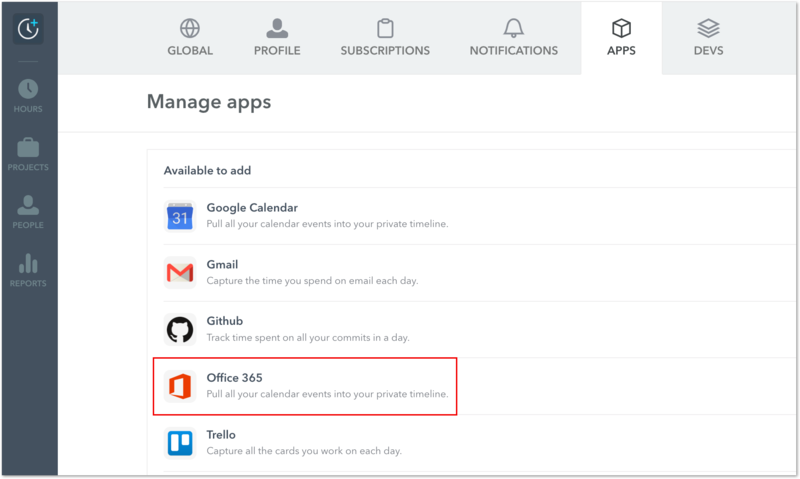 If you're still have issues, try to disconnect and reconnect your Office 365/calendar integration. *Keep in mind that calendar events on your Memory timeline will be removed when you remove the calendar integration from Timely. Once you integrate the calendar again, one month of calendar history and all future calendar events will be imported.